Cottage country will never be the same. Those talented, funny and likable designers – Colin McAllister and Justin Ryan (the duo who gave my book such a good review last fall) – have bought into the Canadian dream: owning a cottage. It’s on a lake in Muskoka, three hours north of Toronto, and every time I look at the photo below, I burst out laughing. As usual, they’ve gone whole hog. No modern Muskoka Mansion for these two. They’ve bought the quintessential Canadian pioneer dwelling: a log cabin. A log cabin, you might ask? Are we talking about the same Colin and Justin? The famously jet-setting designers known for creating glamorous interiors and sporting oversized flowers in their lapels on their previous TV series, Colin and Justin’s Home Heist? Yes. They co-purchased the log house with two friends. And they’ve made a TV show about their adventures, called “Cabin Pressure”, (Tuesday nights in Canada on Cottage Life TV). Of course, no matter where they go, they’re still Colin and Justin, after all. The same witty Scottish-accented pair who live in Scotland, England and Canada and make us laugh while sharing their clever design skills. So what can we expect? You’ll have to watch the series to find out. 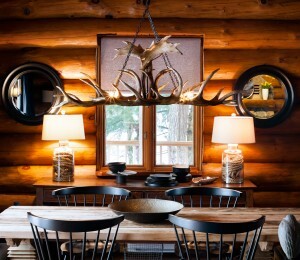 But I’m betting you’ll learn a few things about log homes, cottage life, and a lot about interior design. 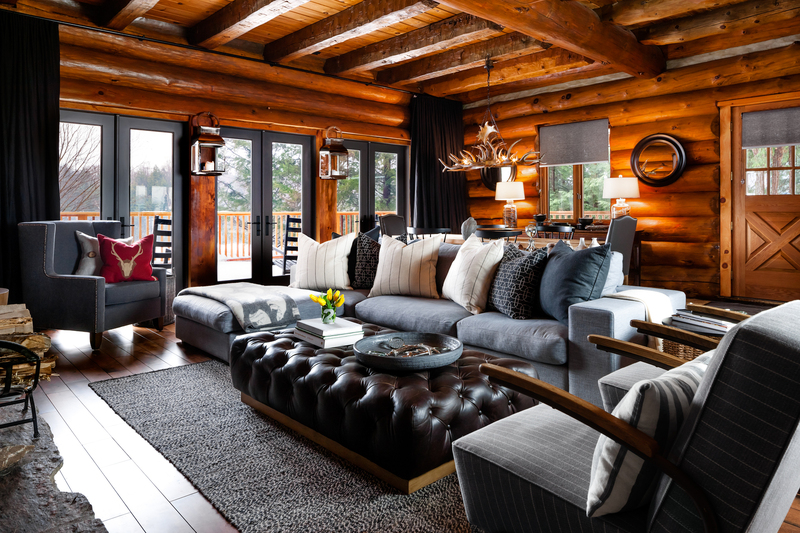 After all, many of us would find decorating a log home very challenging. As did Colin and Justin. They visited a dozen cottages before settling on this one. It passed inspection. But when the renovation was starting, they encountered a rotting deck, dangerous wiring, and several other problems. Their new purchase seemed to be “a pig in lipstick”. So cottage country may never be the same, but it appears that our famous designer duo will never be quite the same, either. Get ready for a new take on “Canadiana” – Colin and Justin style. Writing ‘book blurbs’ has become such a going concern that some well-known authors make a good chunk of change off it. But when my manuscript was complete, I wasn’t looking for big name celebrities to lend their names. I wanted people who genuinely “got” my book. And I wanted individuals whose own writing reflects a passion for the thing we call “home”. I asked only a few people and was very lucky: they all said yes. You’ll see their kind comments on the back cover of A Good Home. One response stood out. It wasn’t just a sentence: it was a whole review. To have two strangers agree to read the book was remarkable. But what they wrote was even more moving. 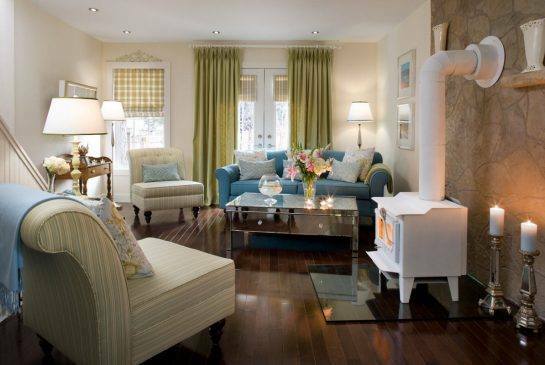 The review came by email from Colin McAllister and Justin Ryan, interior designers who live in Scotland, England and Canada, and whose TV shows and columns about home design are well known internationally. I never miss their newspaper columns. They combine a passion for home design, insights into the deep connection between people and their homes, and a great sense of fun at the same time. “When Cynthia Reyes dips her pen in ink (for this is how we imagine her, immersed in traditional techniques and devoid of modern day conveniences like laptop or iPad) she creates magic; captivating, heavenly prose falls from her quill. 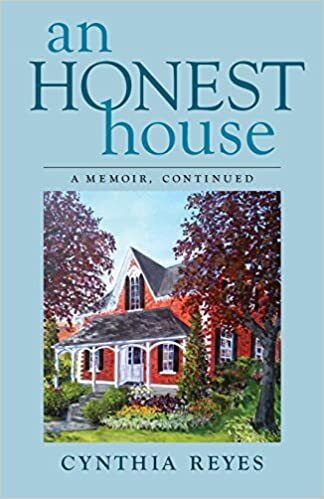 She’s indeed a gifted scribe and, leafing the pages of A Good Home (gripped, as we were, from the opening paragraphs) we hung on her every, emotive word. Cynthia, bereft at her cruelly adjusted physicality following a car crash, somehow – against all the odds – learns a new sense of positivity. A new sense of order. 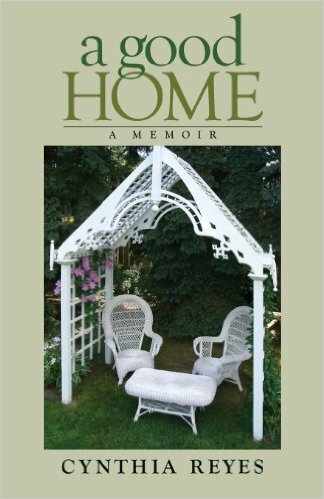 Recounting her past becomes the key to unlocking a better future; a future she thought might never properly unravel. 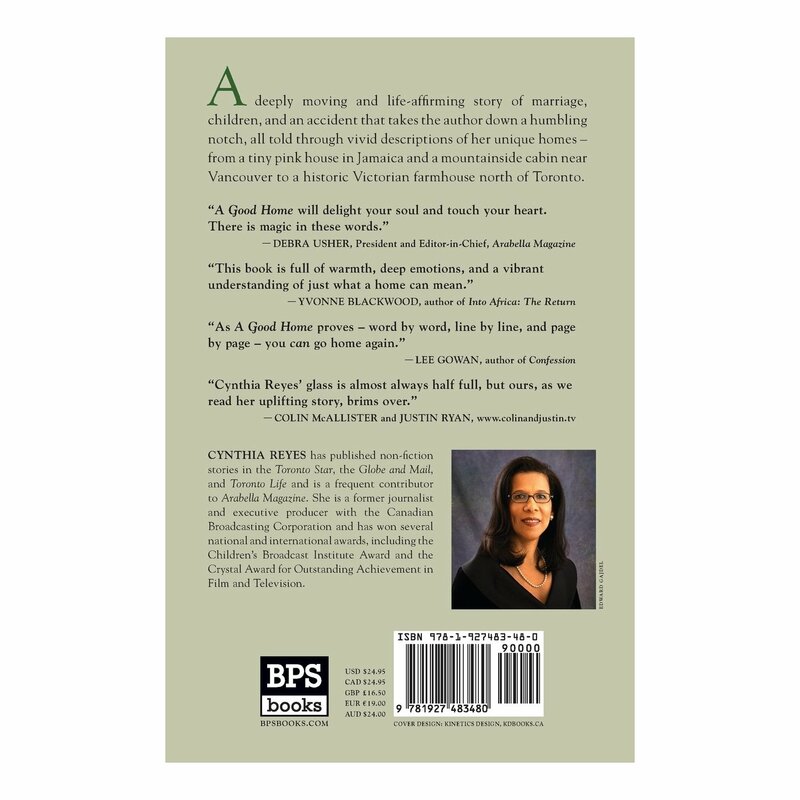 Using a sequence of recollections from previous homes – homes where her life was shaped and her character built – Cynthia discovers how to live again in the face of cramped, cruel adversity. Her fear she’ll never write again, post trauma, is terrifying enough, but it’s her fear she’ll never again be the wife her husband once loved that is truly heart rending. 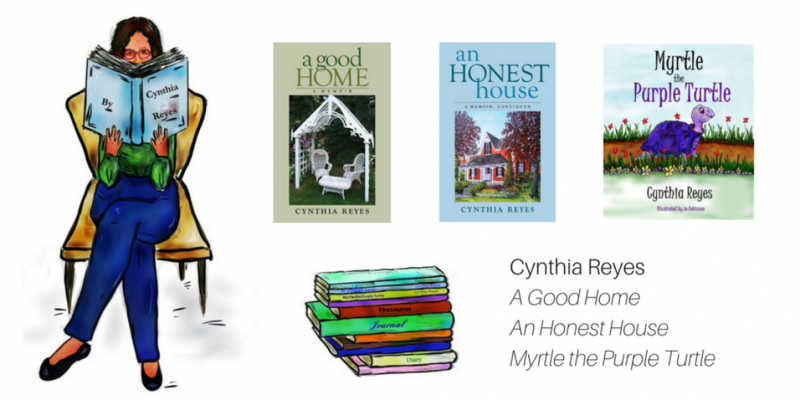 Around her carefully arranged words we crawled nervously with her in unstinting ambition for recovery… and, page by page our hopes and dreams for Cynthia were fortified. Towards the end of the book, to illustrate her newly found sense of perspective, Cynthia quotes Wordsworth’s poem of consolation over the loss of the meadows and fields in which he played as a child. This is what Cynthia does so perfectly. So adeptly. She learns to embrace that which she still has, rather than that which was lost when her injury happened. And she learns to understand she’s still the wife she always wanted to be. Thank you, Colin and Justin, for taking the time to read my book. And for loving it. Long may you continue to give us new thoughts and ideas about that precious thing we call “home”.